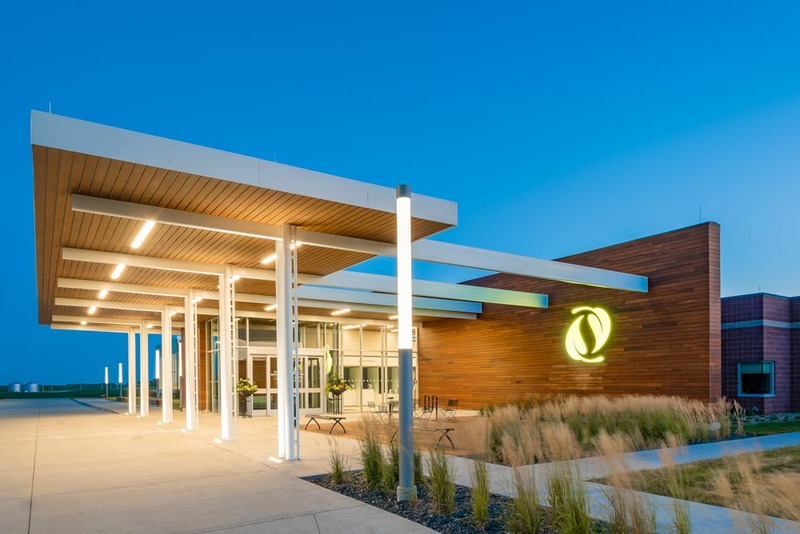 This award-winning, state-of-the-art facility features a standalone mechanical system including ultra-high efficient, condensing hot water boilers, a variable air volume rooftop HVAC system, and an energy-efficient control sequence. 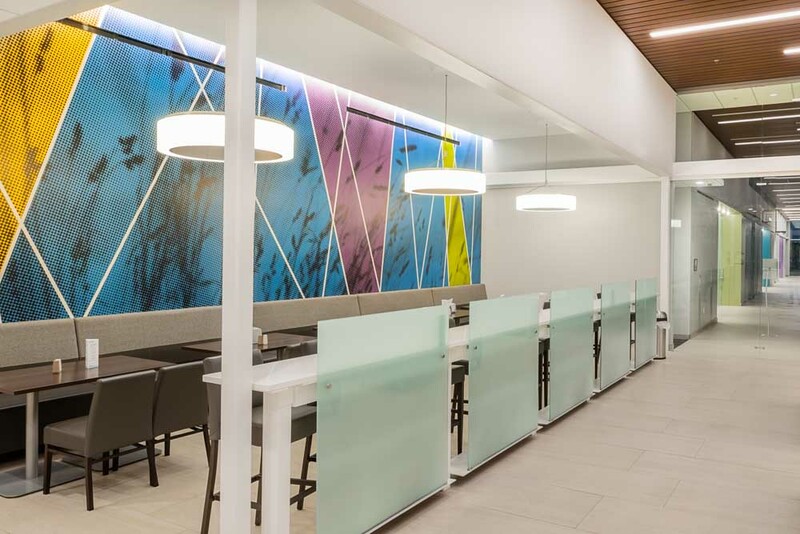 Radiant flooring was used along the large perimeter glazing in the waiting areas to provide occupant comfort and reduce overhead forced-air heating requirements. The mechanical and electrical spaces within the building were resourcefully and thoughtfully designed to maximize usable space for the building occupants and community without sacrificing the performance of the mechanical and electrical systems. A complete LED lighting design provided functional and architectural lighting to match the vision and expression achieved by the building design. With LED lighting becoming commonplace in the construction industry, MODUS further focuses on energy consciousness via lighting control schemes that reduce light output or limit all-on lighting functions. 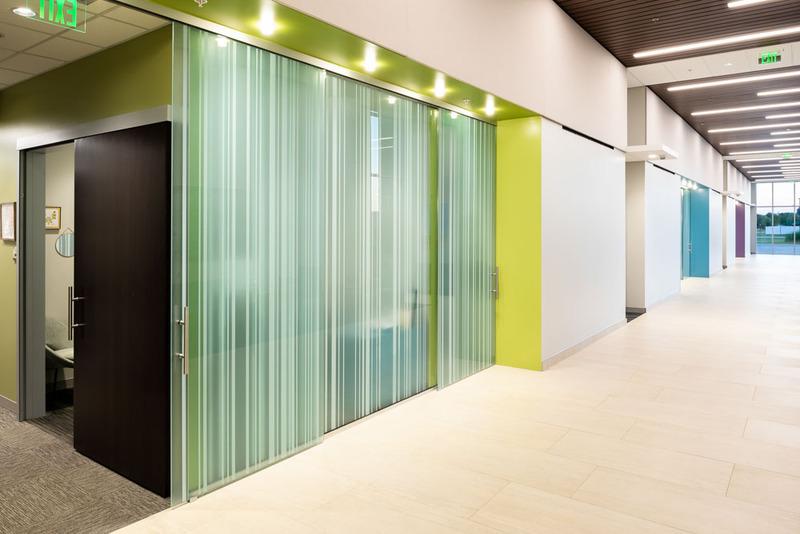 This project was a perfect candidate to utilize multiple daylight harvesting zones with the expansive glazing throughout, mainly in the large waiting lobby, wellness center, and therapy area. 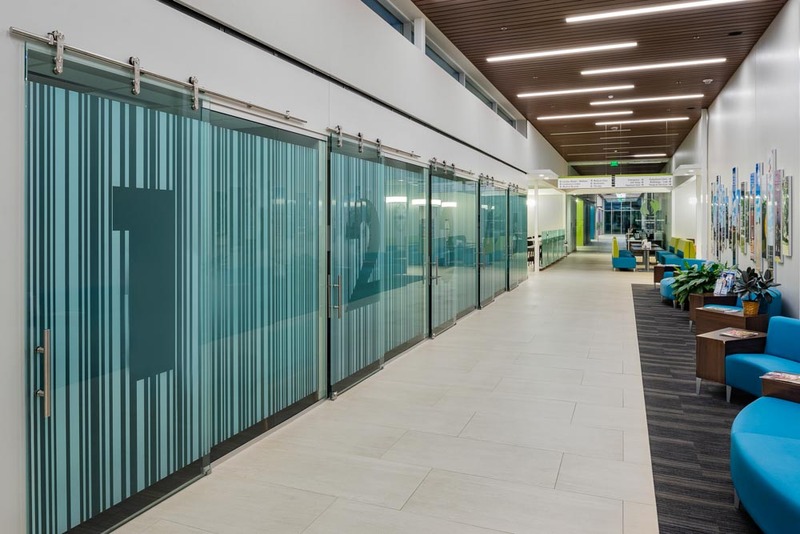 The telecommunications room, including rack and cable tray layout, was designed by MODUS with input from the hospital’s IT staff to maximize expandability for the ever-changing world of technology. The conference and boardroom A/V systems also feature a fully-integrated monitoring and scheduling system to improve workflow and room usage.